Matthew Dear lands on Hot Creations under his Audion moniker. The electrifying Starfucker is remixed by house music veteran Ian Pooley and the notorious young NYC duo The Martinez Brothers. In true Audion style, Starfucker takes a series of unexpected turns and the groove propelled track is made to shake up big rooms. Audion’s second original Need Your Loving is equally intoxicating, with subtle vocals and driving drums. Matthew Dear as Audion is responsible for hit releases such as Suckfish and Mouth To Mouth. At the top of his game for over a decade, the talented artist has also released successful albums under his original name and performed with a live band opening arenas for Depeche Mode, Interpol and more. He also recently released the latest installment of the DJ Kicks compilation and an acclaimed Audion artist album. Over twenty years into his career and Ian Pooley is still releasing on the biggest and cutting edge labels, with recent appearances on Innervisions, Ovum and Tsuba. He packs the swing into his remix and adds his signature style with a touch of class. The Martinez Brothers remix is bursting with energy and demonstrates the duo’s understanding for how to work the big stage. An unstoppable force, the two have been taking the world by storm with their energetic DJ sets, consistent output of music and running of their labels Cuttin’ Headz and Tuskegee. Accomplished DJ, producer, vocalist and instrumentalist Matthew Dear kicks off 2017 with his DJ Kicks episode out on 27th January. But before then we are treated to ‘Brines’, a track from the mix produced under his Audion guise. As co-founder of both Ghostly International and Spectral Sound, Dear has also been responsible for some of the underground scene’s most exciting new music, plenty of which appears here. Now more than 15 years, five albums and 20 EPs into his esteemed and always evolving career, Dear is exactly the sort of fascinating character that makes the very personal DJ-Kicks series so special. The enchanting and notorious Satori unveils Imani’s Dress, the first snippet of his forthcoming album due for release this Spring on the illustrious Crosstown Rebels, with Matthew Dear and Ewan Pearson providing hefty remixes. Satori is no ordinary producer and live artist. Born to a Serbian father and South African mother, the man behind the instrument is a meditative music-lover on a deeply spiritual journey. Creating melodies on the piano, kora, kalimba, and guitar, his live shows are mind-altering. Thump magazine noted his “African music, gypsy and Balkan influences” and through a nominal handful of remixes and releases, Satori has become highly sought after, collaborating with South African charity Bridges for Music and performing at Boiler Room’s biggest show of 2016 at ADE. DJ and production heavyweight Matthew Dear’s remix is a skillful demon that illustrates why he is a pivotal artist in the electronic music arena. Ewan Pearson’s remix is an ode to the guitar. Creating music for over two decades, here his warm riffs are infused with soothing synths and a meticulous groove. 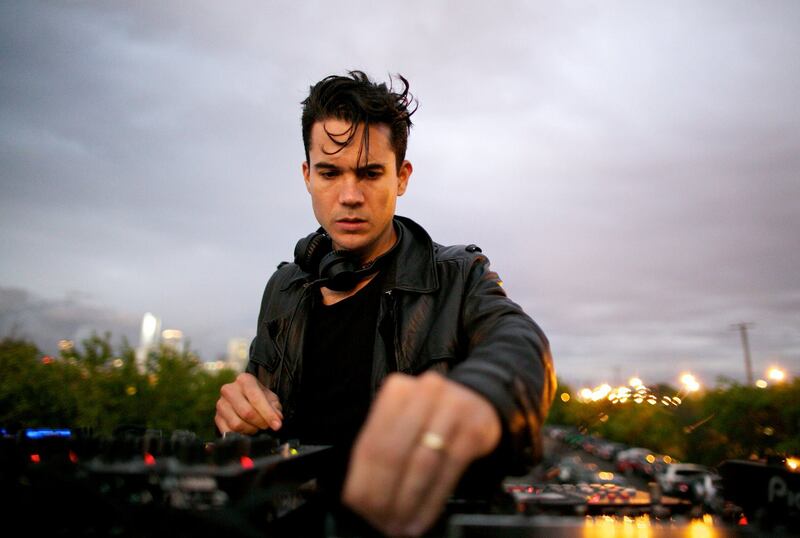 Matthew Dear’s Audion project stands proudly at the intersection between art and hedonism, realised over a decade long dedication to powerful and relevant dance music. Growing out of the vibrant DIY Detroit underground,Audion and his contemporaries were free to feed off the energy reverberating from UK and European dancefloors, but singular in their desire to create their own sound and spirit. An Audion release is techno in it’s purest sense – whether it’s pushing the bombastic limits, spinning the dancefloor out of control or elegantly toying with just a few sonic elements. ‘Alpha’ is Audion’s first artist album in 10 years and comes at the end of a period of fevered activity. The collective body of work standing as a marker in time and a defining moment in the life of the artist. Drowning out the noise of the outside world,‘Alpha’ was a puzzle pieced together sonically in the shadows and wildly brought to life in a matter of weeks.The artwork for ‘Alpha’ has again been realised by Will Calcutt, Dear’s long time collaborator, who has a visual plan for the music that matches the sonic vision, completing the final critical piece of the puzzle. ‘Alpha’ is a fully coherent album of pulverising metallic synths, machine driven 4/4 drums, unforgettable hooks and a masters touch elegantly mixing the brash and sophisticated. Opening with the hypnotic ‘Dem’,‘There was a button’ marks out it’s territory of dark acid emulations and ‘Gut Man Cometh’ toys with eerie vocal distortions and playful psychedelics.The energy increases with ‘Traanc’ but still retains a melancholic air, space is explored in ‘Celestial Antibody’ leading in to the mind bending ‘Destroyer’ with it’s tenacious bass and distorted synth for a full bodied floor filler that’s typical of Audion’s sonically serrated side.The chirpy ‘Suppa’ plays into the infectiously beefy ‘Napkin’ and ‘Bob the Builder’ bubbles and twists playfully around the ear. ‘Sucker’ is a straight up melodic dancefloor jam while ‘Timewarp’ builds with relentless layers of sophisticated percussion, chimes and distortion. Moving to the closers,‘Zunk Synth’ displays the power created by Dears light touch, leaving the pulsing, spacey, mind bend of ‘Sicko’ to close out this visceral ode to the vibrancy of our global dance culture. Stream ‘Destroyer’ in full via Boiler Room below. Listen to his recent Essential Mix, during which he highlights songs that have inspired the Audion sound here. Out on June 10th on !K7 Records. 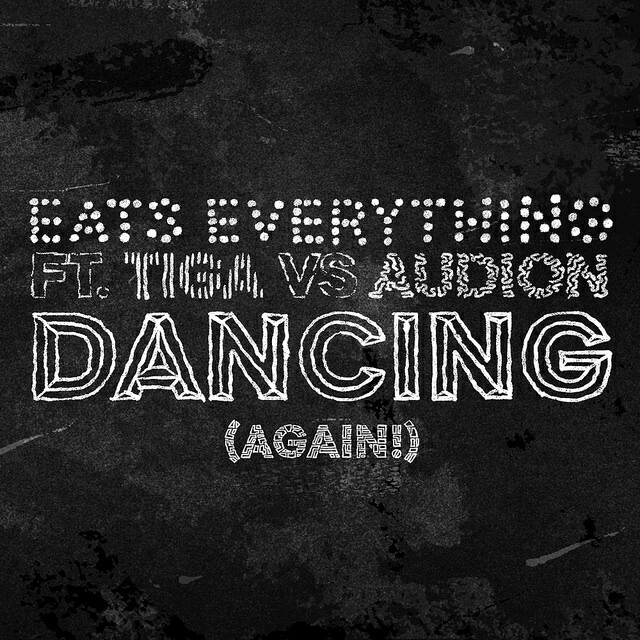 Bristol-baased house producer Dan Pearce, aka Eats Everything, has shared the video for his track “Dancing (Again! )”, featuring Tiga and Matthew Dear under his Audion moniker. Directed by Wayne Lennox. With his self-titled debut LP it is arguable that Ghost Culture, aka 24 year-old Londoner James Greenwood, has released one of the best and most compelling electronic albums of the year. Critically hailed upon release by everyone from Q to the Observer and The Quietus, Greenwood has slyly, stealthily built up a musical landscape of haunting and beautiful unease, wrapping itself around pop songs that are mesmeric as they are propulsive – probably not a surprise, coming from a key collaborator on Daniel Avery’s lauded Drone Logic album. Ahead of his forthcoming debut artist album ‘Rise’, Anjunadeep’s Lane 8 has premiered his collaboration with underground hero Matthew Dear (Ghostly International), entitled ‘Undercover’. Known to techno fans under his legendary Audion guise, musical polymath Matthew Dear here brings his distinctive vocal touch to this dreamy, leftfield pop number. ‘Loving You’ featuring Lulu James is the first track of the album and can also be streamed below. Featuring collaborations with Lulu James, Solomon Grey and Patrick Baker, and including the singles ‘Diamonds’, ‘Hot As You Want’ and ‘Ghost’, Lane 8’s diverse debut album ‘Rise’ will be released on Anjunadeep on 17 July. 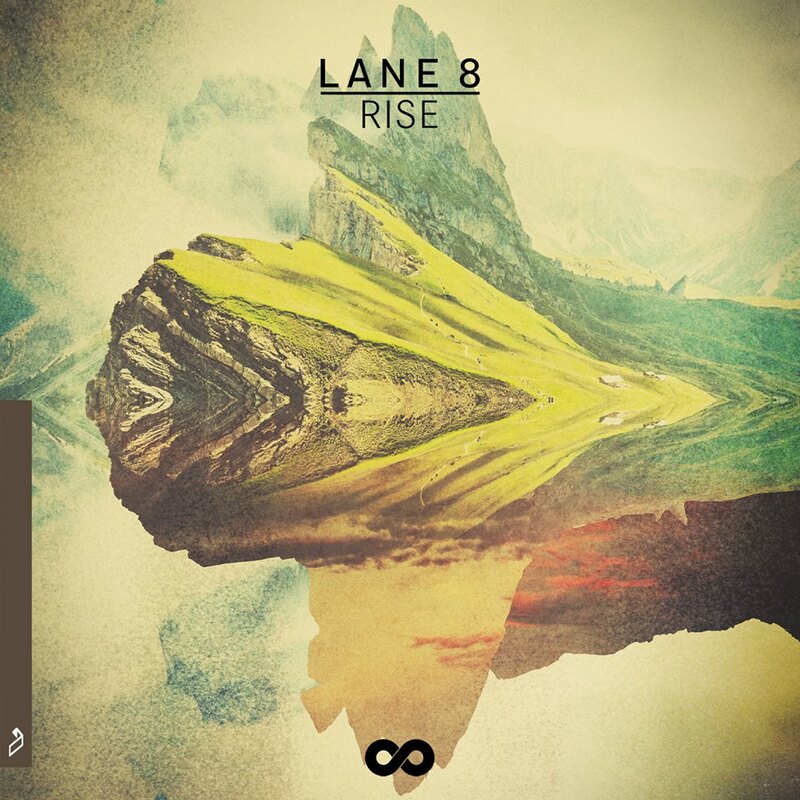 Rising Anjunadeep star Lane 8 announced the release of his debut album in style recently, with the brilliant new single ‘Ghost feat. Patrick Baker‘. On remix duties are a diverse trio of talented producers; techno innovator Audion, Aus Music prodigy Bwana and blogger’s favourite Luvian. After collaborating with Lane 8 on a track on the upcoming album, Matthew Dear took his notorious Audion guise to remix ‘Ghost’, following remixes for legendary acts like Leftfield, Four Tet, Dubfire and Seth Troxler. Completely twisting the mood of the original, cutting the vocal over a frenetic groove he delivers a gnarly late-night techno cut. Bwana has marked himself out as one to watch with his excellent EPs on Will Saul’s Aus Music, and his epic take on ‘Ghost’ is another winner, playing off the subtle melodies of the original with a huge bass hook, and Patrick Baker’s evocative lyrics. UK based Luvian has been bubbling away for a while, with his early tracks picking up millions of plays on YouTube and Soundcloud. He takes his remix away from the club, instead opting for a gorgeous poolside version, stripping back almost entirely to sparse percussion, sensual melodic textures and warped vocals. An emotional 10-track journey across beautiful melodic instrumentals, leftfield pop moments and quirky electronica, the confident debut album ‘Rise’ (out 17th July on Anjunadeep) represents a bold, bright coming of age for an act who burst onto the scene with a flurry of Hype Machine #1s and stand-out remixes of diverse dance titans like ODESZA, Eric Prydz and Above & Beyond. Featuring vocal turns from Solomon Grey, Ghostly International’s Matthew Dear and Patrick Baker among others, ‘Rise’ also features standout instrumentals such as the romantic techno vibes of the title track and the Joris Voorn-inspired ‘Klara’ – touching on the DJ sound that has won him so many fans on recent tours. Ghostly’s Matthew Dear returns to his Audion moniker with a great new single “Dem Howl” for Cologne’s Kompakt label. The track features vocals from Danish singer/musician Troels Abrahamsen and is backed with an instrumental version as well as a remix from label co-founder Michael Mayer. Out on November 3rd 2014; pre-order your 12” here. A year has passed since DJ Koze released his masterpiece Amygdala, which was heralded worldwide with numerous awards and prizes. Now, after Reincarnations – The Remix Chapter 2001-2009 and Music Is Okay (2000), comes the third major exhibition of DJ Koze’s work as a remix virtuoso: Reincarnations Pt 2. Alongside the acclaimed solo albums Kosi Comes Around (2005), Wo die Rammelwolle fliegt (as Adolf Noise, 2005) and Amygdala (2013), it is primarily through his remixes that DJ Koze, like no other producer of electronic music, sets new standards again and again. His musical and storytelling skills always seem to shine a little brighter when he lets all his love and passion flow into the music of other artists. There are many songs where people first recall the DJ Koze version. Remixes to remember. 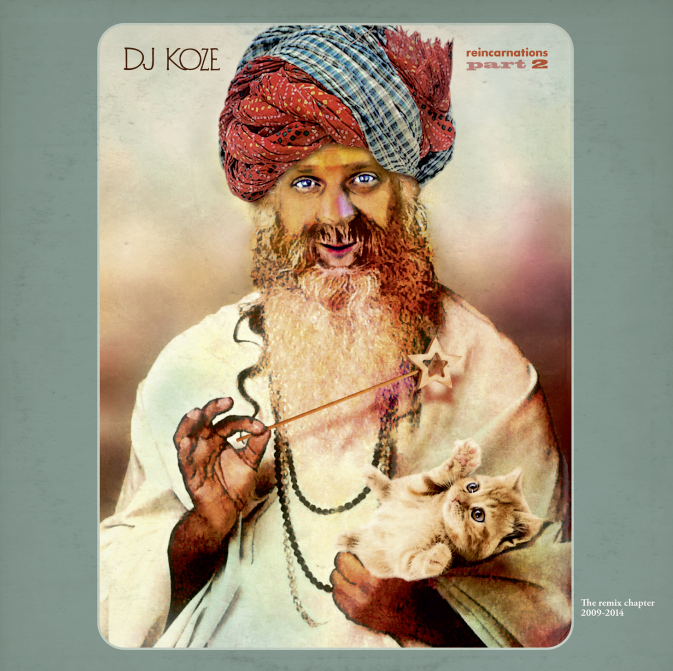 For Reincarnations Pt 2 DJ Koze, aka Swahimi, der Unerleuchtete, (Swahimi, the Unenlightened), collected 12 of his musical rebirths in an old wicker basket, where otherwise a small cat can be found sleeping. 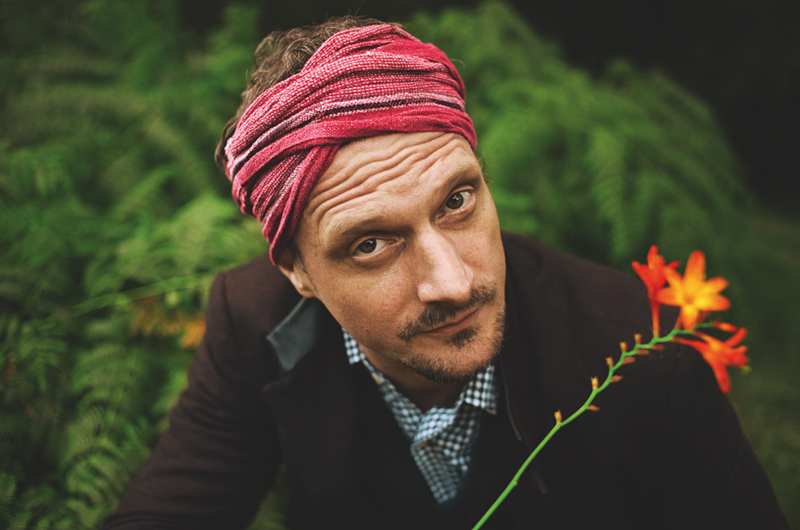 Once more, DJ Koze refines and varies his colors and shapes, styles and materials. He prefers to reach a crescendo on the dance floor in his own special way – often the loud becomes the quiet, the heavy stands in contrast with the gentle. 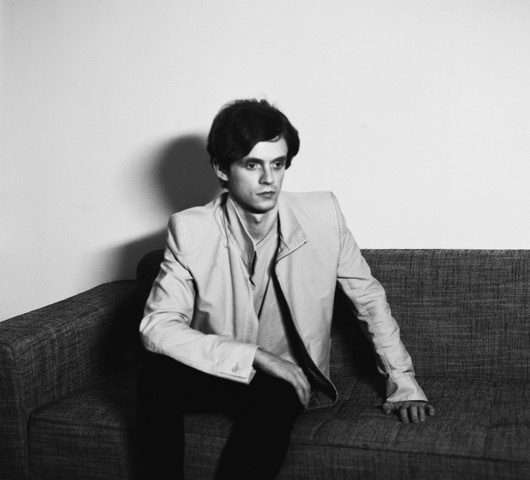 Koze’s remix of Moderat’s “Bad Kingdom” makes a hymn from a hit. His reworking of the two Herbert tracks “It’s Only” and “You Saw It All” feel like abstract paintings, yet function simultaneously as great pop music. And his wonderful arrangements for Caribou, Who Made Who, Ada, Gonzales, Soap & Skin, and finally, as a crowning glory, Apparat’s “Blackwater”, have all long since become classics. In the mountains, they say, the direct route always leads from summit to summit. An experienced mountaineer, DJ Koze also leads us along winding paths, up through shady valleys and high over the clouds. Reincarnations Pt 2 is that kind of journey, rambling and floating, a grand illumination. Enlightened. Below you can stream the new unheard remixes of Matthew Dear’s ‘Little People (Black City)’ and Tocotronic’s ‘Kapitulation’. Reincarnations Pt 2 is out now October 27th 2014 on Koze’s Pampa.